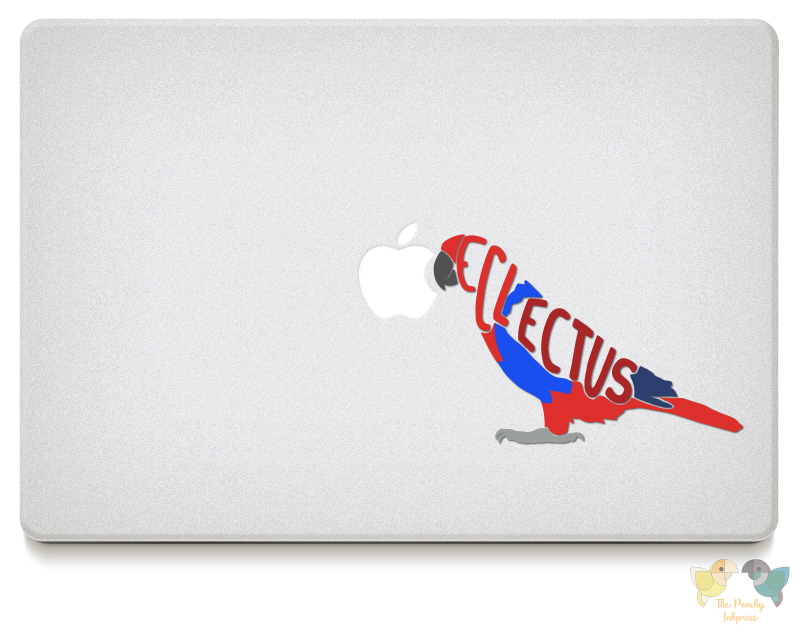 Enamored by Eclectus? These guys and gals are ready to come home with you! Decal is approximately 4" in size. I use high quality, glossy Oracal vinyl. The regular colors are rated to last 6 years outdoors, and the holographic and metallic colors are rated 3-4 years outdoors. If used indoors and treated with care, your decals will last a long time! Decal is removable, but not reusable. Decals adhere best to clean, smooth surfaces. A practice decal and installation instructions are included. Where can I install my decal? Props used in photos are not included.